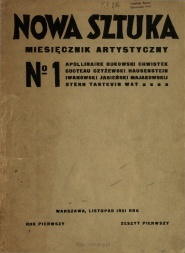 Nowa sztuka: miesięcznik artystyczny [New Art] was a Polish avant-garde poetry magazine edited by Anatol Stern and Jarosław Iwaszkiewicz. Two issues were published in Warsaw in 1921-22. Nowa sztuka 1 (November 1921). Download. 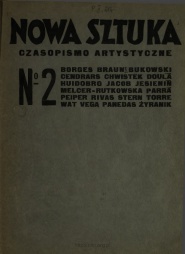 Nowa sztuka 2 (February 1922). Download. This page was last modified on 12 September 2014, at 18:51. This page has been accessed 6,093 times.